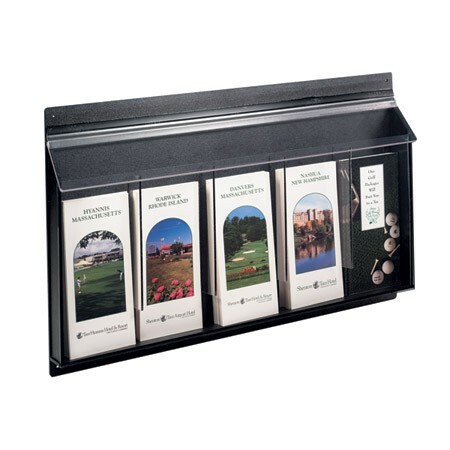 5-Pocket Exterior Pamphlet Dispenser with hinged cover that snaps shut to keep precipitation away from envelopes and brochures. Pre-drilled holes for securing to wall, using fasteners of your choice. Mounting hardware NOT included. Custom sizes and configurations available - call today!